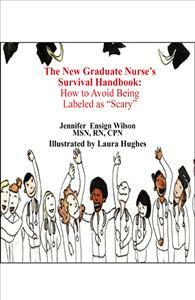 The New Graduate Nurse's Survival Handbook: How to Avoid Being Labled as "Scary"
Congratulations! You survived nursing school and are now ready to embark on your nursing career. This is an exciting time, and how you approach your first job as a Registered Nurse is important to your success. This book will help you start off on the right foot. Learn how to avoid common pitfalls and mistakes that are familiar to many new graduates, including ones that can get you labeled as "scary."